What a difference two years can make. In July of 2015, the Irving Shipbuilding Women Unlimited program’s first class had just completed their 14-week introductory program and were about to start their 2-year welding or metal fabrication diploma programs at the Nova Scotia Community College (NSCC). Before starting the program, many of these women had little or no exposure to metal trades or shipbuilding. Now they are finishing their welding and metal fabrication education and beginning their apprenticeships on their journey towards earning their red seal status. In June of 2017, 15 of the women graduating from the program will join Irving Shipbuilding’s workforce at the Halifax Shipyard proudly building ships for Canada. Irving Shipbuilding strives to build a workforce as diverse as the country itself. This program was one of many initiatives that were made possible by the 2012 establishment of the Irving Shipbuilding Centre of Excellence at Nova Scotia Community College. The Centre of Excellence works to create an entry point for underrepresented groups to train for careers and benefit from Canada’s revitalized shipbuilding industry. 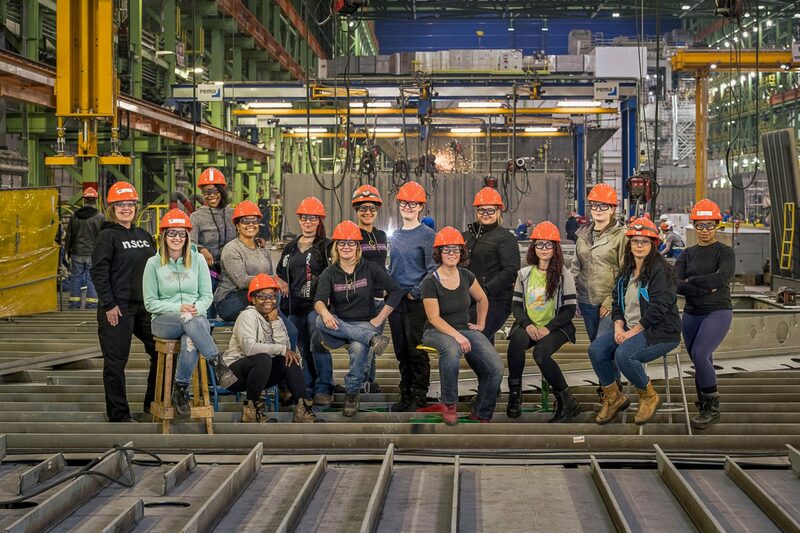 The graduates of the Irving Shipbuilding Women Unlimited program now have a long-term career defining opportunity to work with the best tools, in the best facility and with the best shipbuilders in the world. They will play a vital role in Canada’s history as they work to build the Royal Canadian Navy’s future fleet and build their lives right here in Nova Scotia. In addition to Irving Shipbuilding and Women Unlimited, this program was made possible by the support of many partners including the Province of Nova Scotia, the Canadian Welding Association Foundation, and Unifor Canada. Congratulations to the graduates on all you have achieved. Welcome to your new career! Celebrating Women Unlimited from Irving Shipbuilding on Vimeo.